CCD researchers investigate normal cognitive processing, cognitive disorders and treatment. CCD researchers and postgraduate students look forward to collaborating on new research projects with our colleagues in this world-class facility. We are especially excited by the prospect of working on the implications of hearing-disorders for children’s development of language and reading. 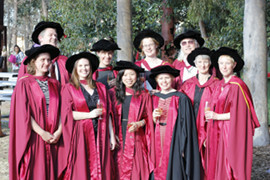 The CCD brings together an extensive network of national and international researchers in cognition and brain science. Our research programs investigate basic questions, but with an emphasis on the diagnosis and treatment of cognitive disorders, including schizophrenia, specific language impairment, dementia, autism and dyslexia.